Among the early plywood designs, the Elephant is one of the most difficult to produce. Tight angles and compound curves require a sophisticated mastery of plywood technology. In the early 1940s Charles and Ray Eames successfully developed an innovative method for moulding plywood into three-dimensional shapes, which they used to produce a wide range of furniture and sculptural objects. 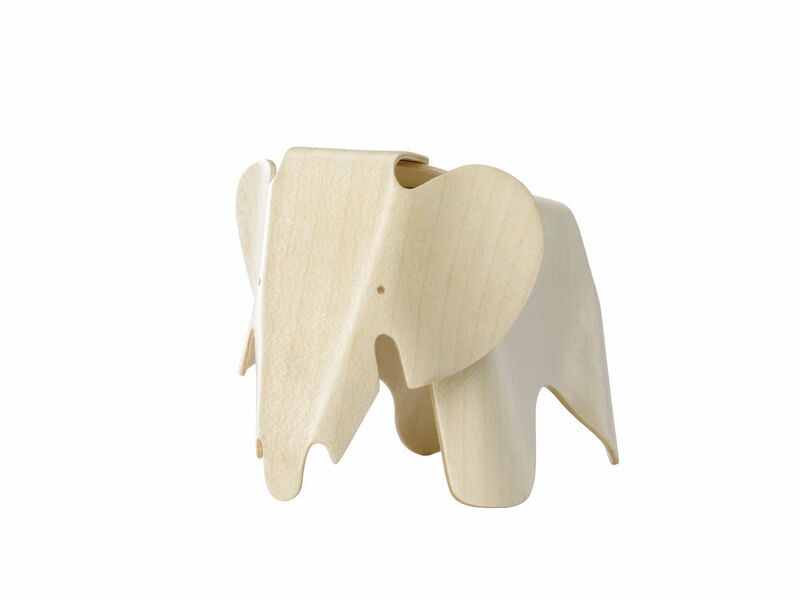 Designed at the same time as their children's furniture, the Plywood Elephant can also be seen as a playful counterpart to the leg splints developed by the Eameses for military applications – which were the very first mass-produced objects made of threedimensionally moulded plywood.